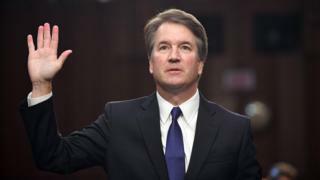 US President Donald Trump’s Supreme Court nominee Brett Kavanaugh has denied an allegation of sexual misconduct during his high-school days. Reports say an unidentified woman claimed in a letter to Democrats that Mr Kavanaugh tried to force himself on her at a party in the early 1980s. Senate Democrats on Thursday disclosed that they had referred a complaint to federal investigators. The judge faces a confirmation vote to join the Supreme Court next week. The alleged incident took place when Mr Kavanaugh was a minor and student at Georgetown Preparatory School in Bethesda, Maryland. The woman – who asked not to be identified – was also a minor and a student at a nearby high school. Her letter alleges the now judge held her down and covered his hand with her mouth. They were in a room with a classmate of Mr Kavanaugh’s, and both boys had been drinking, before turning up the music to muffle her sound of protests. The woman was able to free herself, the New Yorker said. Although the alleged incident was decades ago, the woman said the memory had caused ongoing distress and she had sought psychological treatment. The woman first approached Democratic lawmakers in July, shortly after Mr Trump’s nomination of him revived the pain of the memory, US media said. She reportedly sent a letter to her local congresswoman, Democrat Anna Eshoo, and Senator Dianne Feinstein, the committee’s top Democrat. 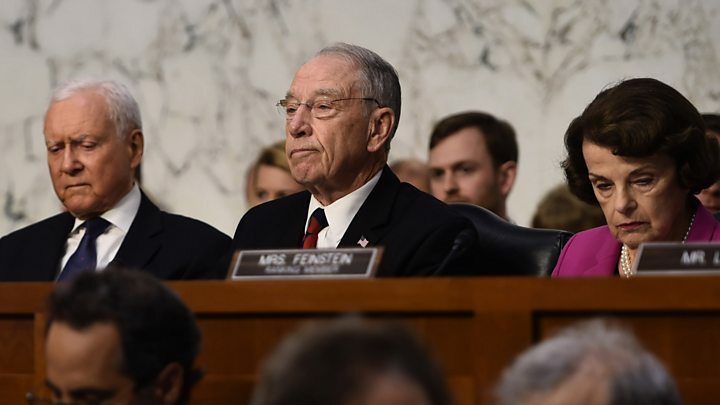 Ms Feinstein said the woman “strongly requested confidentiality, declined to come forward or press the matter further, and I have honoured that decision”. “I have, however, referred the matter to federal investigative authorities,” she said Thursday. Anonymous sources, including a Democratic aide, confirmed to the Associated Press the allegation is of a sexual nature. Mr Kavanaugh is a controversial pick for replacing Justice Anthony Kennedy and he is strongly opposed by some Democrats for his views, such as on abortion. 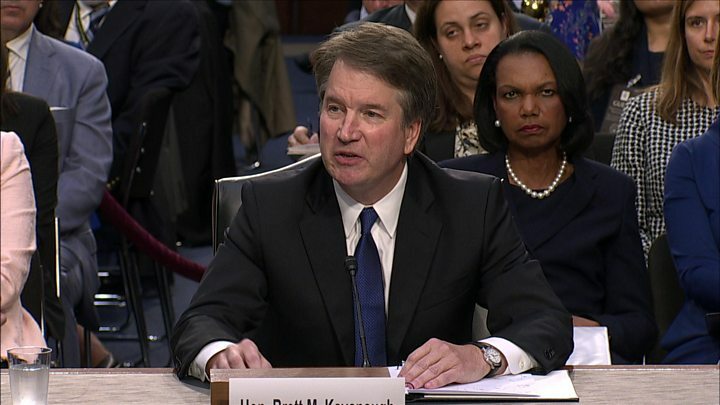 The 53-year-old was questioned during four days of hearings with the Senate Judiciary Committee last week. If chosen for the lifetime appointment next Thursday, the conservative appeals court judge would be expected to tilt the Supreme Court’s balance to the right.